AAA projects 34.8 million Americans, or 11 percent of the population, will travel 50 miles or more from home during the Memorial Day holiday weekend, an increase of 1.2 percent over the number of people who traveled one year ago. In the Pacific Region (AK, CA, HI, OR, WA), Memorial Day travel is expected to increase by 1.5 percent, with 5.6 million or nearly 11 percent of the population taking trips. The Memorial Day holiday travel period is defined as Thursday, May 24 to Monday, May 28. Gas prices skyrocketed on the West Coast this month because lingering refinery issues created very tight supplies in this region. Two weeks ago, statistics from the U.S. Department of Energy showed gasoline stocks on the West Coast at 26.13 million barrels of fuel, the lowest level for the month of May since 1992. Several refineries were closed for longer than anticipated periods. Three of the 12 California refineries that produce the summer blends were off-line. And Washington’s Cherry Point refinery was shut down in February after a fire and has been mostly out of commission. While pump prices were spiking in the west, drivers in the rest of the country have been enjoying falling gas prices. Since the year-to-date peak price of $3.94 on April 6, the national average has fallen for 42 of 46 days and decreased 26 cents during this period. The national average is 17 cents cheaper than a year ago. Crude oil is trading around $92 per barrel, compared to $94 a week ago. For the month, crude prices are down about 11percent. These losses have been led by increasing global economic concerns — most notably Greek sovereign debt issues impacting the euro zone and data suggesting a slowing Chinese economy — as well as further reports from Saudi Arabia that the Organization of the Petroleum Exporting Countries (OPEC) would increase production. 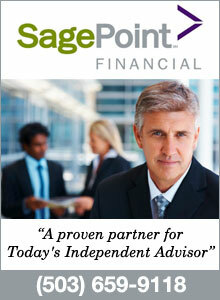 These reports come following worries that current high prices may be impacting global economic growth. OPEC members account for approximately 44% of global production capacity and by coordinating an increase in production could put downward pressure on global oil prices. The AAA TripTik Mobile app can help consumers find the cheapest gasoline in their areas. AAA TripTik Mobile is a GPS-based app with maps showing gas station locations and other points of interest near a user’s location or any user-specified location. 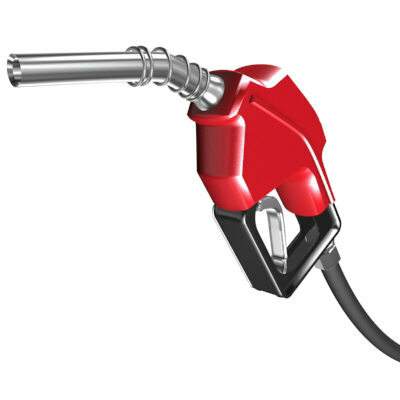 Gas station details include updated prices for all available grades of gasoline. The free app is available for iPhones and the Android market. Five states have gas at or above $4 a gallon, compared to six states last week. The top five most expensive states are the same for the second week in a row, with both Washington and Oregon in the top five. Hawaii is most expensive for the 45th consecutive week at $4.54, followed by Alaska at $4.50, California at $4.33 (down three cents and third most expensive for the eighth week in a row), Washington at $4.24 (up 3 cents and fourth for the third week in a row), and Oregon at $4.22 (fifth for the second week in a row). For the second week in a row, South Carolina has the cheapest gas in the country at $3.34. Diesel prices are easing in most markets. The national average drops a nickel to $3.99 while Oregon’s average loses two cents to $4.34. After two weeks, diesel drops below the $5 mark in Hawaii and is at or above $4 a gallon in 23 states (including the District of Columbia) compared to 29 states last week. Hawaii is most expensive at $4.96, followed by Alaska at $4.65 Washington at $4.43 (down a penny week and third for the seventh consecutive week), California at $4.37 (down a nickel and fourth for the seventh week in a row), and Oregon at $4.34 (fifth for the second consecutive week). A year ago, the national average was $4.06 and Oregon’s was $4.29.